WASHINGTON, DC, May 29, 2013 (ENS) – U.S. 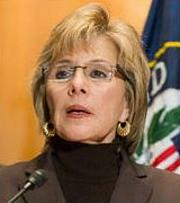 Senator Barbara Boxer of California is asking the Justice Department to open a criminal investigation into Southern California Edison’s statements to nuclear regulators about replacing steam generators at the shuttered San Onofre nuclear power plant. Located on the California coast south of San Clemente, San Onofre has been shut down since January 2012 due to premature wear found on over 3,000 tubes in replacement steam generators and a leak of radioactive material. The letter expressed worry that the new steam generators, which though similar, would not be “like for like” replacements and could lead to the same kind of potential “disastrous” issues that did, in fact, cause the plant’s shutdown in 2012. “Ultimately, Edison asserted that the replacement was ‘like-for-like,’ enabling them to avoid a full license review and a public hearing,” Boxer said. “In response to Senator Boxer’s statement, we believe that the determination for restart must be made based on technical merits, through the established nuclear regulatory process,” said Pete Dietrich, Southern California Edison senior vice president and chief nuclear officer. Dietrich takes issue with Senator Boxer’s assertion that “like-for-like” replacements were required for the San Onofre steam generators. “Contrary to Sen. Boxer’s suggestion, Section 50.59 does NOT require that replacement equipment be ‘like for like’ or identical to the equipment being replaced,” Dietrich said. Southern California Edison has been urging the Nuclear Regulatory Commission to approve a quick restart of the San Onofre nuclear plant, but earlier this month the Atomic Safety Licensing Board ruled in favor a petition by Friends of the Earth requesting a full public hearing before any restart would be authorized. San Onofre is located 65 miles south of Los Angeles, with its 3.8 million people and less than 50 miles south of cities in the southern Los Angeles metropolitan area such as Long Beach, Irvine, Huntington Beach and Newport Beach with a combined population of roughly a million people. 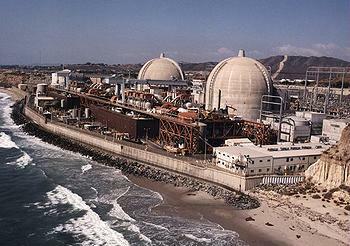 The plant is located 55 miles north of San Diego, with its 1.3 million people. 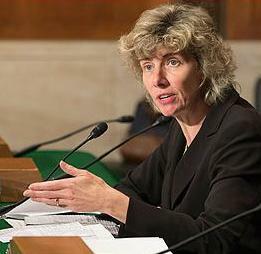 Boxer told reporters that at a hearing held by the Senate Environment and Public Works Committee, which she chairs, Nuclear Regulatory Commission Chair Alison MacFarlane said under oath that the NRC would not consider letting the plant restart until all issues are resolved. “The San Onofre nuclear plant is the largest source of baseload generation and voltage support in the region and is a critical asset in meeting California’s clean energy needs,” Dietrich said. Both reactors at the plant are currently shut down. Unit 2 was taken out of service January 9, 2012, for a planned outage. Unit 3 was taken offline January 31, 2012, after station operators detected a leak in a steam generator tube. No blackouts have occurred due to the shutdown, but the natural gas plants used to make up for its power generation have caused more air pollution, and the additional cost has led to higher utility bills.